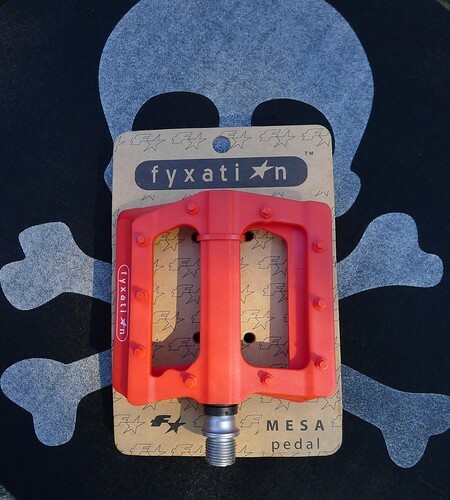 We’ll be torture testing some Fixation Mesa Pedals – The same pedals that some lucky subscriber will win, just for signing up to receive our monthly Fat-Bike.com Newsletter. We’ll also be testing Planet Bike‘s Borealis Glove as well as some really cool looking wood fenders from MK Fenders. And there’s this thing called….the Moonlander or something…..supposed to be a really big deal……we’ll have two of them that we’ll be sure to share with a bunch of folks at races and events in the upcoming months and you can bet that there’ll be lots of pictures of people with big smiles, astride the crazy-fat-sparklie-lunar-lander from our cousins at Surly Bikes. We”ll be looking forward to a feature article from Cale’s Baja de California, Fat-Camping adventures as well as compiling the Ultimate Fat-Biker’s X-mas wish list. Till then, check out the Free Stuff tab and send me a SASE to get some sweet Fat-Bike.com Stickerage!